Teachings of Krishna from the Bhagavad Gita (the Hindu Bible). Thy human right is for activity only, never for the resultant fruit of actions. (ecstasy)? How does this man of steady wisdom speak and sit and walk? Self, he is then considered to be one settled in wisdom. worldly loves, fears, and angers he is muni of steady discrimination. through wisdom; for the yogis divine union through active meditation. work no one reaches perfection. visualizes) and the senses, let him practice yoga for self-purification. eyebrows); let him not gaze around in various directions. oversleeps, the one who sleeps too little none of these finds success in yoga. awake will find yoga the destroyer of suffering. person, O Descendant of Bharata. Amazon.com's best-selling translation and commentary on the Bhagavad Gita is published by Self-Realization Fellowship. 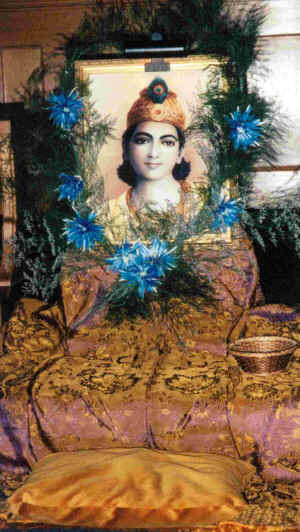 In the Introduction of this book, Paramahansa Yogananda says, "The Gita's wisdom is not for dry intellectualists to perform mental gymnastics with its sayings for the entertainment of dogmatists; but rather to show a man or woman living in the world, householder or renunciant, how to live a balanced life that includes the actual contact of God, by following the step-by-step methods of yoga." 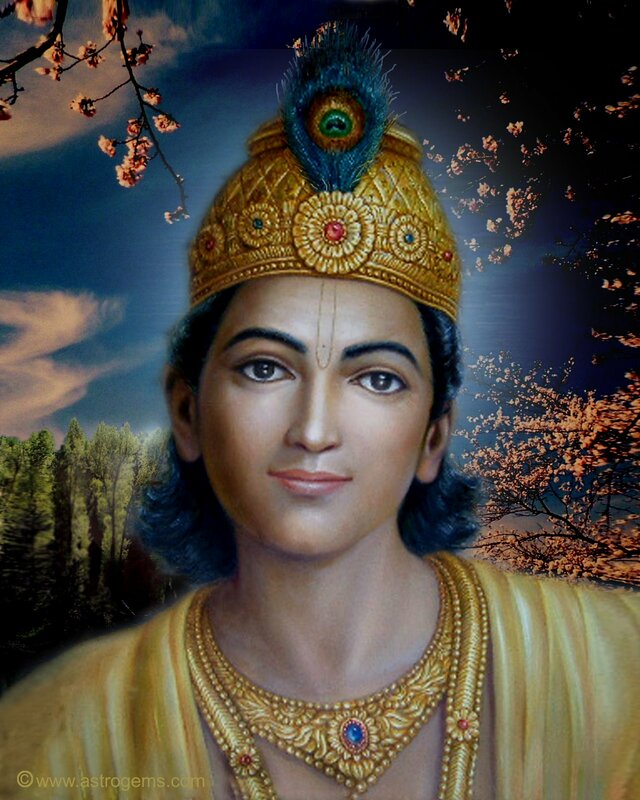 See also a Story of Young Krishna.